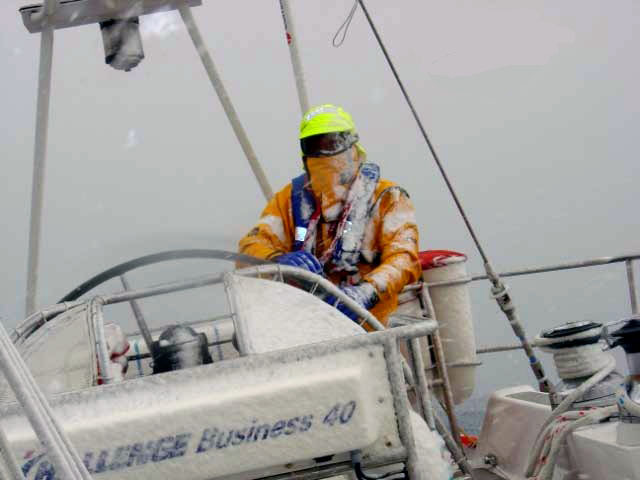 Dee had secured her place as the only female skipper in the fleet to race in the 10-month Global Challenge race, which departed on 3 October 2004. Held every four years, this race took a fleet of one-design (or matching) steel yachts, crewed by amateur sailors who have paid to take part, the Westabout route round Cape Horn and through the Southern Ocean where winds can exceed 70 knots. Dee was the skipper of the yacht Imagine It. Done. The race saw the team develop from having to retire from the second leg of the race to finishing on the podium in leg six.